Tough Enough To Wear Pink And Raised More Than $2.7 Million! Photo by Allan Ivy @ Open Your Eyes Gallery. Wrangler has long been known for their work with Tough Enough to Wear Pink (TETWP). The iconic brand has assisted in raising more than $27 million in funds for breast cancer awareness and treatment. The #1 rodeo fundraiser of the PCRA, Gunnison Cattlemen’s Days TETWP, is responsible for an astounding $2.7 million of that money. 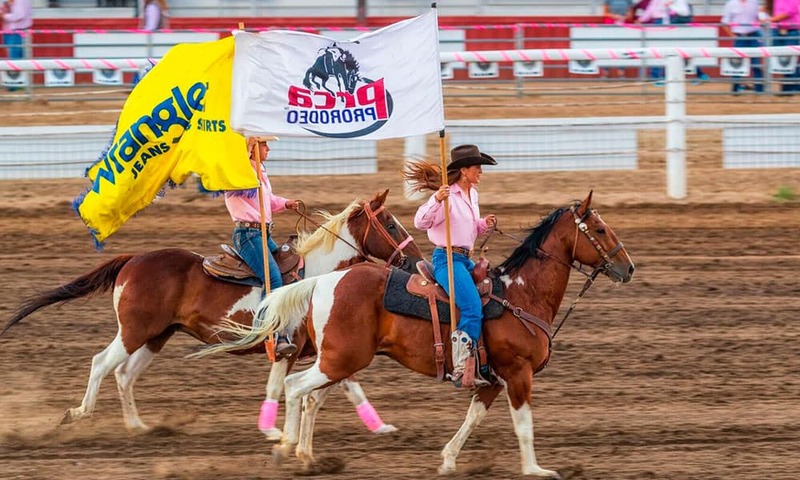 Read the official press release below to learn about the incredible partnership of Wrangler and Cattlemen’s Days Tough Enough to Wear Pink. Wrangler, the iconic American denim brand representing timeless authenticity in apparel and leading sponsor of the Professional Rodeo Cowboys Association (PRCA), today announced that its partnership with Gunnison Cattlemen’s Days Tough Enough to Wear Pink (TETWP) has reached a new milestone: $2.7 million in local funds raised for breast cancer awareness and treatment since 2006. That year, Wrangler made an initial donation of $230,000, matching what the event had raised in its first three years combined. We tip our hats to Wrangler and Cattlemen’s Days Tough Enough Pink for their dedication to fighting and preventing breast cancer.